On October 2, 1795, at the age of 19, Mary Young married John Pickersgill, a merchant, and moved back to Philadelphia with her husband. Of Mary’s four children, only one survived childhood, a daughter named Caroline. Mary’s husband worked for the United States Government in the British Claims Office; he died in London on June 14, 1805, leaving Mary widowed at the age of 29. 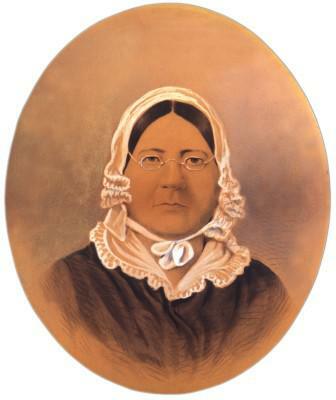 In 1807 Mary moved back to Baltimore with her daughter and her 67-year-old mother. The small family rented a house at 44 Queen Street in Baltimore where Pickersgill took in boarders and opened a flag-making business, selling “silk standards, cavalry and division colours of every description.” Her customers included the United States Army and Navy, and visiting merchant ships. 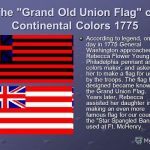 The large flag was initially called the Great Garrison Flag, which, at 30 feet high X 42 feet wide, was enormous. It was composed of fifteen horizontal red and white stripes and fifteen white stars in a blue field in the upper left. The number fifteen represents the thirteen original colonies, plus Vermont and Kentucky, which became states March 4, 1791 and June 1, 1792 respectively. The stars are arranged in five horizontal rows of stars, each containing three stars. Each of the fifteen stripes is 2 feet wide, and each of the stars measures about 2 feet in diameter. The flag being so very large, mother was obliged to obtain permission from the proprietors of Claggetts brewery which was in our neighborhood, to spread it out in their malt house; and I remember seeing my mother down on the floor, placing the stars: after the completion of the flag, she superintended the topping of it, having it fastened in the most secure manner to prevent its being torn away by (cannon) balls: the wisdom of her precaution was shown during the engagement: many shots piercing it, but it still remained firm to the staff. … The flag contained, I think, four hundred yards of bunting, and my mother worked many nights until 12 o’clock to complete it in the given time. Pickersgill stitched the flags, sometimes with the help of her thirteen-year-old daughter Caroline; nieces Eliza Young (thirteen) and Margaret Young (fifteen); and a thirteen-year-old African American indentured servant, Grace Wisher. Records show that Pickersgill spent about seven weeks stitching the two flags, for which the government paid her $405.90, more than the annual income of her neighbors. The Great Garrison Flag was installed at Fort McHenry in August 1813. 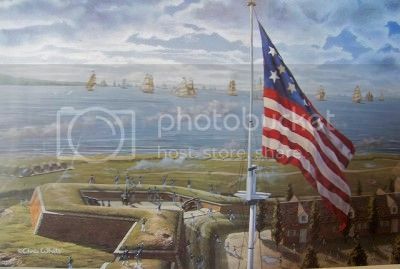 A year later, as Baltimore was preparing for an expected attack by the British, the flag Pickersgill made was hoisted above Fort McHenry as it was made ready to defend the city. Some one thousand soldiers under the command of Major Armistead awaited the British naval bombardment. They had submerged a line of American merchant ships at the entrance to Baltimore Harbor to impede the passage of British ships. On September 12, 1814, five thousand British soldiers in boats and a fleet of 19 ships attacked the city of Baltimore; the bombardment turned toward Fort McHenry on the evening of September 13. The British warships launched bombs and rockets on Fort McHenry in rapid succession. After an initial exchange of fire, the British fleet withdrew to just beyond the range of Fort McHenry’s cannons and continued to shell the American redoubts for the next 27 hours under heavy rain. Although the British had launched 1,500 to 1,800 cannonballs on the fort, damage was light due to recent fortifications completed before the battle. When the British ships were unable to pass the fort and penetrate the harbor, the attack was ended. 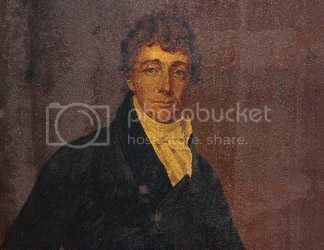 During the Battle of Baltimore, American lawyer and amateur poet Francis Scott Key was aboard a British vessel in the Patapsco River, adjacent to Baltimore Harbor. Key had boarded the vessel to negotiate the release of Dr. William Beanes, an American being held by the British. As evidence of the good doctor’s work, Key produced letters from wounded British officers praising the care they had received from Dr. Beanes. The British agreed to release Beanes, but Key and Beanes had to remain on the British vessel until the attack on Baltimore was over. On the morning of September 14, Key saw by the dawn’s early light that the Great Garrison Flag made by Mary Pickersgill was still waving above Fort McHenry, meaning that the fort was still in American hands. Inspired by this revelation, he began jotting down verses on the back of a letter he was carrying. When Key reached Baltimore, he completed the four verses of his poem, naming it “Defense of Fort McHenry,” and copied them onto a sheet of paper. He probably made more than one copy. A local printer printed the new song as a broadside. Soon after, the Baltimore American newspaper published it, and by mid-October it had appeared in at least seventeen other papers in cities up and down the East Coast. After the Battle of Baltimore, the Armistead family kept the Star-Spangled Banner; they occasionally gave away pieces of the flag as souvenirs, including one of the stars. The flag now housed at the Smithsonian Institution measures 30 feet by 34 feet. 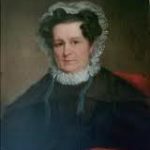 By 1820, Pickersgill had earned enough money from her flag making business that she was able to buy the house she had been renting at 844 East Pratt Street in Baltimore. She resided there for the remainder of her life. The Widows Home – this is the name of a really beautiful specimen of architecture, now rapidly approaching completion, and situated on West Lexington Street… [the first floor] contains fourteen single chambers, each containing a window, and with opening into a spacious hall… The second story likewise contains fourteen single chambers, as does the story above, all of which are nine feet wide and fifteen deep. … Each story is supplied with bath rooms, water closets, and every convenience which a well constructed residence affords; and in the third is an apartment designed for an infirmary… The basement contains a kitchen, dining room, sewing apartment, pantries and cellar, and beneath the entrance is a fine arrangement for a refrigerator on a large scale. Mary Young Pickersgill died October 4, 1857 and was buried in the Loudon Park Cemetery in southwest Baltimore, where her daughter erected a monument for her and a civic-minded organization later erected a bronze plaque. The house where Pickersgill lived for 50 years, at the northwest corner of Albemarle and East Pratt Streets in downtown Baltimore, became known as the Star-Spangled Banner Flag House in 1927. The house was saved through the efforts of many preservation-minded citizens who were inspired by the Centennial Celebrations of 1914. Hello! Found this article so fascinating. Thank you for posting it! In the 2nd paragraph -there is a typo. It seems that the date should be 1775 vs 1875 based on all the other information. Nice information but the picture is wrong. 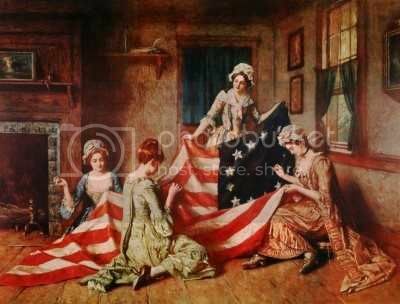 The picture you show is depicting Betsy Ross sewing the first American flag with 13 stars in a circle pattern. 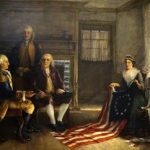 As you described right next to the picture, the flag that Mary Young Pickersgill sewed for Fort McHenry had 15 in horizontal rows: “The number fifteen represents the thirteen original colonies, plus Vermont and Kentucky, which became states March 4, 1791 and June 1, 1792 respectively. The stars are arranged in five horizontal rows of stars, each containing three stars.” Easy mistake to make because so many images describe vice versa but Ross did her 13 in 1775 and Pickersgill did hers in 1814.